Can be found in lava pools alongside Lava Beetles. Blasts the enemy with fire, dealing 413 Elemental damage. Deals 197 Elemental additional damage if the target is Burning . Deals 137 Elemental damage to the enemy's pets. Underrated and great battle pet when teamed with Fel Flame. Started getting wins in pvp pet battles with this little gem. I just checked and it's true. This pet can indeed solo Aki the chosen. It takes a little bit of time to take her down using this strategy but it is a great way to level up weaker pets. I LOVE this pet! Mainly because one shows up as a polar bear in my pet interface. I saw the little guy wandering around in the lava and wondered, "What's a polar bear doing here? Or became a pet in the first place!". He won't come out as a bear, but he shows up as one. So sweet. 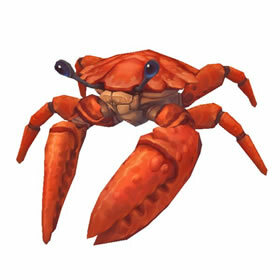 Little used pet which means many will mistake it for an Aquatic Crab, and often switch in their fliers. You could almost name it Shore Crab or somthing to further fuel the illusion. I find this an excellent counter to Clockwork Gnome or even more to Darkmoon Tonk(and other Minefield users). Burn hits hard enough, and you can't set pets on fire, so Conflagrate is no great loss. Magma Wave has ver nice utility, and small aoe damage. Huge healt and heal(or shell). Quite nice pet all in all. Also spawns as a secondary to fire beetles. This pet can solo Aki the Chosen. Simply put a pet in front you want to level, use one ability, then swap to this pet. Put up Shell Shield and keep it up while spamming Magma Wave, the Shell Shield will completely negate the damage of Swarm. The easy pet (Chirrup) takes less damage and heals itself, while the rest of the team is slowly whittled down, so you don't have to deal with their much more annoying abilities. This goes for Lava Beetles as well. 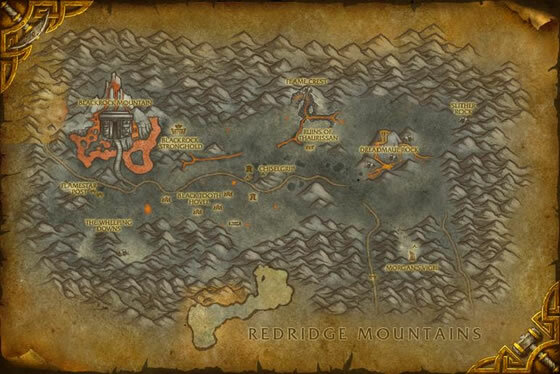 They are where ever you see the molten rock pits and lava. They are very much tied in with the Lava Beetles. You will see them by themselves. But, if you fight a Lava Beetle, you might have 1 or 2 lava crabs fight with them and vice versa. I used to pay attention to the hit points to let me know if they were rare or not. I found that this is not accurate. Pay attention to power/speed, 162/135 was uncommon quality. Haven't found rare. The thick exoskeleton of this adaptable arthropod allows it to thrive in harsh environments.